Tremendously upscale Old Naples consist of shops, boutiques and restaurants, beach front homes, bay front homes and condo's, numerous gulf access boat docks. Many public beach access points are available. With the magnificent homes, white sandy beaches, and surrounding amenities, Olde Naples is truly the crown jewel of Florida. BAYVIEW at OLDE NAPLES Condos: Welcome to paradise! Bayview Condominiums is ideally located in the heart of Old Naples. Whether your mode of transportation is by foot, bicycle, boat, car or private jet, this unique condo is pristinely located 1 block from boating & dining on Naples Bay and 8 blocks from the sugar-white beaches of the Gulf of Mexico. Revel in the beauty of 5th Avenue S, and 3rd Street S, as you enjoy fine dining, an array of upscale boutiques, art galleries, Cambier Park, the Naples Pier, Old Naples festivals, special events... and so much more. Condo unit #16 is offered As-Is and Turnkey/Furnished with neutral coastal decor, white tile flooring and upgraded carpet throughout... an elegant 1 BR/1 BA residence in an amazing neighborhood. The condo lives like a spacious suite, a great investment opportunity within a multimillion-dollar residential area, situated for your pleasure within the warmth of soothing coastal Gulf breezes. If this condo is calling your name, let us show you how to truly live the Naples lifestyle! We look forward to sharing this special residence with you. Please call the listing agent for your private and exclusive tour. TWIN PALMS at OLDE NAPLES Condos: Perfect Olde Naples Winter getaway or Investment Property. Tastefully furnished, turnkey. Very bright first floor condo. Assigned parking just outside door. Courtyard has beautiful pavers, European ambiance, perfect for gathering with friends or neighbors. Updated kitchen. Walk to Naples Beach, Pier, 5Th Avenue, 3Rd Street, fine dining, world class shopping, Galleries, Public Dock. The best value in Olde Naples. Concrete Construction, Newer windows, Newer AC unit, free laundry. Too cute to miss this one. Solid rental history. Call for a private showing today. Owners may have a small pet! Property is surrounded by multi million dollar homes, and prices in Olde Naples are still going up! Vacant and easy to show! GARDEN COURT at OLDE NAPLES Condos: This unit was just cleaned, painted and fixed up. Come see the improvements! This unit is currently the best value you can get this close to the beach. Walk to the beach, this unit sits only 2 blocks away from the gulf, and the possibilities are endless. Come seeall that downtown has to offer. On the corner of prestigious 3rd St. and a few blocks from 5th ave, featuring shops, restaurants, theaters and Cambier Park. Look out your linai to a landscaped park and enjoy all that Naples has to offer! CENTRAL GARDEN at OLDE NAPLES Condos: Rarely available meticulously maintained condo in the heart of Olde Naples with numerous upgrades and ready for new owners! Listen to some of the amenities of this second floor unit and see why we think for the condition and price its currently one of the best deals in Olde Naples. HURRICANE WINDOWS THROUGHOUT INCLUDING THE LANAI SLIDER! 20x20 tile on the diagonal throughout so no carpets to constantly clean and replace. Custom built-ins in dining area. Both bathrooms were remodeled in 2016 with Grey Carrera porcelain tile with listellos and pencil liners for accents in bathroom showers. Plantation shutters throughout. Kitchen was completely remodeled in 2012 with exotic granite counter tops, stainless steel appliances (frig. replaced in 2017), and under mount lighting. AIR CONDITIONER REPLACED in 2017. Roofs recently replaced in the 60 unit complex. Walk to 5th Ave. Bike to the beach. Library is steps away! Light, Bright and Airy, the list goes on and on. Do the research. See if you can find a 2/2 condo. in this condition, with these up grades and amenities, in this location, for this price then make an appointment to see what a real deal looks like in Naples Florida. GARDEN COURT at OLDE NAPLES Condos: C.16105 - The perfect Olde Naples getaway escape. Just steps to the beach, galleries, shopping and restaurants of 5th Avenue and 3rd Street. This nicely updated ground floor, end unit residence offers one bedroom, one bath, eat-in kitchen, living room, screened porch, assigned parking and in-home laundry. Tastefully furnished with a coastal flair, this is the opportunity you have been looking for. Ideal for an investor seeking an easy rental property. PARK TERRACE at OLDE NAPLES Condos: It"s all about the location! This quaint, nicely appointed and furnished unit is located in a prime location for experiencing the Naples lifestyle. Walk to 5th Ave. for shopping and dining while the white sandy beaches of The Gulf of Mexico are only blocks away. This unit has been nicely updated with wood-like porcelain tile flooring, and a neutral palette throughout, which adds to the charm of this condo. The low quarterly fees, location and fresh decor make this a gem in the heart of Olde Naples! CASTLETON GARDENS at OLDE NAPLES Condos: C.15634 Live the Old Naples Lifestyle! Short Walk to the 5th Ave S Restaurants, Boutiques, Cafes, Galleries, Sugden Theater, Von Liebig Art Museum, Cambier Park, Crayton Cove and much more. Enjoy the powder sand beach and Gulf of Mexico. Just across from the boutique Trianon Hotel; great for guests. Extra public parking. Castleton Gardens was redeveloped and totally renovated in 2003 as a 3 building complex with a large community oasis including a large sunny pool, spa and cabana grill area. Pet friendly! Flexible leasing policy (12 leases per year, 30 days minimum). Low fees. Weathered the storm (Irma) with no damage. The sellers have owned for 7 years, occupied seasonally, never leased, and had no special assessments. This condo overlooks the quaint courtyard from the second (top) floor. Desirable quiet away from roads location. It is clean and neat with newer appliances, AC, washer, dryer, water heater, Tommy Bahama and Broyhill furnishings, plantation shutters, crown molding in the kitchen and great room, and light fixtures in the kitchen and bathroom. This condo offers a wonderful lifestyle, a prime location and an affordable price. Live the Old Naples Lifestyle! MARINA MANOR at OLDE NAPLES Condos: BOATER"s Dream in Heart of Olde Naples ! Best Value in Olde Naples and Includes 27" Covered Boat Slip with Lift. Turn-Key Furnished.........Move-in Ready. Walking Distance to Tin City, 5th Ave, 3rd St, Naples City Dock, Naples Pier, Beach, Shopping and Dining . You"ll Love all Marina Manor has to Offer, including Membership in the On-Site Adventurer"s Club with Billiards, Card Room, Library, BBQ, and expansive community Workshop ! Naples Bay Boat Dock Association is a separate Association for all Boat Slip Owners and has a Mandatory $1,853 Annual HOA (see other Fee in Financial Info).....Boat Slips are In Demand and currently rent for $410 per month. Mingle with your neighbors or enjoy your favorite Beverage while lounging around the pool deck.....or take a swim in the Heated, Oversized, Private Community Pool. Extra Large storage area for Bicycles and miscellaneous items. New AC in 2017. A True Jewel to Find this "Turn Key" Nicely Decorated and Furnished Unit with your own Covered Boat Slip on Beautiful Naples Bay all in The Heart of Downtown Naples and with Direct Access to the Gulf of Mexico !!! Extremely FABULOUS !!!!! Bring your Flip-Flops and Bathing Suit ! MARINA MANOR at OLDE NAPLES Condos: This is a Boater"s Paradise in the Heart of Olde Naples in Downtown!! Greatest Value in Olde Naples including 27" Covered Boat Slip with Electric Lift (Both Motors are fairly new). This Unit is Turn-Key Furnished / Move -In Ready. This wonderful Property is an Interior designated unit facing an open view to the Pool Area! Short Walking Distance to Tin City, 5th Ave, 3rd St, Naples City Dock, Naples Pier, Beaches, Shopping/Dining. You"ll Love all Marina Manor has to offer! Boat Dock is included with Unit. You can also elect to rent out the boat slip if you desire. Spend time with your friends or neighbors and enjoy your favorite beverage while lounging around the Large pool Area...or take a swim in the Heated, Oversized, Private Community Pool. Extra Large Storage space outside with a bike walk way through out the community. this is a True Hidden Gem in Naples Bay all in the Heart of Downtown Naples with Direct Access to the Gulf of Mexico!!! MARINA MANOR at OLDE NAPLES Condos: NEW Photos and Virtual Tour Coming this week ! LOCATION !!! LOCATION !!! LOCATION !!! Awesome Opportunity in Downtown Olde Naples ! INCLUDES 27" Protected Boat Slip w/ roof over (Boat Slip # 56) , Water and Electric at Dock ... Walking Distance to Tin City, 5th Ave, 3rd St, Naples City Dock, Naples Pier, Beach, Shopping and Dining . You"ll Love all Marina Manor has to Offer, including Membership in the On-Site Adventurer"s Club with Billiards, Card Room, Library, BBQ, and expansive community Workshop ! Mingle with your neighbors or enjoy your favorite Beverage while lounging around the pool deck.....or take a swim in the Heated, Oversized, Private Community Pool. Extra Large storage area for Bicycles and miscellaneous items. Upgraded with Crown Mouldings, upgraded Baseboards and new flooring throughout. A True Jewel to Find this "Turn Key" Nicely Decorated Unit in The Heart of Downtown Naples and with Direct Access to the Gulf of Mexico ! Lots of Natural Light with views overlooking a newly remodeled pool deck with tropical ambiance and palm trees. Best Value in Olde Naples ! Turn-Key Furnished.........Move-in Ready. GARDEN COURT at OLDE NAPLES Condos: WOW! Three blocks to the beach from this Old Naples Garden Court. Plus a convenient walk to both 5th Ave. S. and 3rd St. S. restaurants, shops, galleries, and entertainment. Light and Bright end unit. Updated with neutral colors, Impact Windows and Doors, Central air and in-unit Washer and Dryer. Sunny, open air patio right outside your second floor condominium. Three building complex surrounding a Peaceful Courtyard. Leasing policy is 3 times per year max & 30 days minimum. No pets. The beach is a short distance away, as is all that Old Naples has to offer! A Chance to Enjoy the white sand, the breezes & the pristine gulf waters with this rare find! 960 ON SEVENTH at OLDE NAPLES Condos: Always wanted a place in Olde Naples? Here is a light and bright corner ground floor residence with a total renovation by the developer in 2013, plus additional improvements! Ready for you to call home. Situated on the south corner with superior landscaped privacy views from your very well designed and appointed living areas, along with high end appliances. Low density condo with lush landscaping and courtyard. Close to all the downtown 5th Ave and 3rd St activities and our sandy white beaches on the Gulf of Mexico. Flexible rental policy for the savvy investor or 2nd home resident. One deeded parking space, guest parking, washer and dryer in residence, pet friendly, BBQ/terrace area with community storage for bikes and beach chairs. Click on the virtual tours for cinematic video experience. 960 ON SEVENTH at OLDE NAPLES Condos: Residence is located in downtown Naples within walking distance to 5th Ave South and Third Street South. Minutes from the Gulf. Interior features are bright and airy, with a hint of coastal flair. All appliances and washer and dryer in residence are included. Unfurnished. The exterior features include a park-like setting with outdoor furniture, water features, and a grilling area. The owner has priced the unit to sell quickly. All units have the same floor plans. The residence is currently leased and lease must be honored. 24 Hour notice for showing. OLDE NAPLES Condos: Location! Location! Location! Fully furnished Condo West of 41 and in Olde Naples, this updated 2B/2B w/flexible nook area first floor unit is move in ready. Close to 5th Ave. shopping and restaurants, and only a 0.5 mile walk straight to the beach. The community is also close to public tennis courts and golf course being across the street from the Naples Beach and Golf Club with swimming available at the community"s pool/barbecue area. Bring along your pets as the community allows owners to own 2 pets without size restrictions (restrictions on types of pets are in place). The buildings and units were re-wired and updated by the HOA in 2002. Other updates to this unit includes water heater (2011), AC (2016), engineered hardwood and tile floors with 6 baseboard (2017), high impact Jeld Wen windows (2018), kitchen back-splash/light fixtures/ceiling fan and all new stainless steel appliances (2019). HOA dues include trash, ground/building maintenance, exterior pest control, landscaping, irrigation AND water utility bill. GARDEN MANOR at OLDE NAPLES Condos: Walk to everything (including 1.5 blocks to the beach!) from this immaculate peid--terre. Totally renovated jewel box exactly halfway between 5th Ave S. & 3rd Street entertainment districts in the heart of Old Naples. Professionally maintained and expertly landscaped small, intimate complex (24 units total). Private patio area to enjoy your morning coffee or an afternoon cocktail. A private, peaceful, light filled oasis that lets you enjoy all Naples has to offer! TOWN MANOR at OLDE NAPLES Condos: This 2BR/2BA condo with new impact windows, is perfectly located just 2.5 blocks to Naples Beautiful Beaches. A short two block stroll takes you to the Third Street South area, with its fabulous restaurants and elegant shops. Close by are other noted Olde Naples amenities: Naples Fishing Pier, City Dock@Crayton Cove, Cambier Park with its popular tennis complex and the equally famous 5th Avenue South offering its own great shopping and fine dining. This unit Owns it"s Land Lease. NO LAND LEASE FEE!!! THIS IS A MUST SEE!! KENSINGTON GARDENS at OLDE NAPLES Condos: Bring your toothbrush and move in downtown Naples in this fully furnished ideal vacation spot.  Rare opportunity, where all the amenties get together within walking distance, and you have the option to rent this weekly while not using for yourself. Walk to the beach, restaurants, shops and entertainment. Only one block away from the famous 5th Ave. If walking 5 blocks to the beach seems far, you have the pool and spa just steps from your condo in a stunning courtyard. Remodeled with beautiful granite countertops, ceramic tile, crown moldings, custom cabinetry and GE profile appliances.Fully furnished. You wont find anything else in downtown Naples at this price that offers the flexibility of weekly rentals, offers pool and spa, and this prime location. WARWICK at OLDE NAPLES Condos: C.14995 This 2nd floor 2 bedroom, 2 bath condo with spacious lanai, just 2 blocks to Naples pristine white sand beach and 3 blocks to fabulous 5th Ave. S. shopping, dining, galleries and festivals is being sold AS-IS and offers the savvy buyer an opportunity to totally renovate this unit to fit their lifestyle. (The last renovated 2 bedroom, 2 bath condo in Warwick Club sold for $610,000 in November 2018!) The view from the enclosed lanai overlooks the beautiful Royal Poinciana trees on 2nd Ave. S.-see photos. Covered parking (1 car) and guest parking; large storage unit; no pets; no pool and no spa means very modest condo fees! Make this condo the showcase home you want it to be, in the location you want to be and enjoy the Old Naples lifestyle youve been looking for. DOWNS TOWN at OLDE NAPLES Condos: LOCATION, LOCATION!! Super 2 bedroom, 2 bath updated condo only 3 blocks from the beach! Located right in the middle of the Third Street restaurants/shops and also Fifth Avenue! Replacement windows, beautifully renovated kitchen with granite countertops and wood cabinetry, updated baths, smooth ceilings, breezy screened lanai and a washer/dryer in the unit! Fully renovated in 2010, new storm door 2012, impact windows 2013, hot water heater 2014. Complex has updated private pool, nice grill area, pavers in the parking area, and freshly painted in 2018. Being sold turnkey furnished, all the work is done! First floor end unit! MARINER at OLDE NAPLES Condos: The location of the Naples Mariner is one of the best in Naples, with the beautiful, white sandy beach just across the street for fun in the sun and glorious sunsets! A short walk to the historic Naples Pier. This first floor, 2 bedroom/2 bath residence is turn key furnished and was recently renovated with new flooring, paint, kitchen, bathrooms and new furniture with fun sandpiper touches. After experiencing all the local amenities, enjoy a swim in the oversized heated pool. Choose from a variety of shopping choices and a Saturday Farmer"s Market experience during popular times of the year, all within a short walk. There is a formal dining experience for every taste, or casual eateries on Third Street South or Fifth Avenue South. The healthy Naples" lifestyle of boating, fishing, tennis, biking or just relaxing make Naples one of the top Florida destination to live. Nature is robust for every enthusiast. An experienced golfer or just beginning, there are spectacular golf courses for every skill level. This beauty is move-in ready. Another great benefit of owning at the Naples Mariner is its flexible rental policy. You can rent as many times as you like. NEAPOLITAN CLUB at OLDE NAPLES Condos: C.15766 - Simply lovely! An Immaculate Condo in the heart of Old Naples, one of the very few to allow pets! A wonderful place to call home within walking distance of 5th Avenue, Tin City, the Dock, Third. St. & to the beautiful white sandy beach. A recently renovated, pristinely maintained top floor apartment with elevator outside the front door. A bright, fully equipped white kitchen leads onto the dining area & family room with sliding doors onto the newly screened lanai, which has room for outside dining and seating. A well appointed large, brand new tiled Master Bedroom, walk-in closet & en-suite shower room. Guest bedroom with large closet & updated bathroom. New AC unit in 2017. A great opportunity to live downtown & enjoy Naples life style providing a haven for relaxation. No detail missed, top of the line electrics & gorgeous furnishings. A perfect home from home, full time residence or investment property with good leasing opportunities. Pet friendly. Fabulous location, with heated community pool, parking and elevator to this wonderful, third floor Condo. Super Cute and a rare opportunity as this location does not come on the market often! PETTIT SQUARE at OLDE NAPLES Condos: Discover the charm of Olde Naples with this updated condo, just blocks from the beach. Sited on 3rd St. South, you can stroll to the beach or to the many attractions of downtown Naples. The move-in-ready condo offers a classic design with many modern touches. Live every day in style in this expertly updated Old Naples condo. The kitchen flows into the living space with open concept living and offers ample storage and counter space. The large master bedroom is completed with a sitting area and customized closet organization. With its ideal location and design, this Old Naples condo wont be available for long. VILLA VERSAILLES at OLDE NAPLES Condos: DRASTIC Price Reduction. Rarely available first-floor end unit in a low-density building right in the heart of Olde Naples. This charming residence has oversized tile on the diagonal throughout, including the large screened-in lanai. The kitchen has stunning granite counters, wood cabinets with slow close doors. Newer microwave and range too. The Living/Dining area is spacious with deep landscaped views looking out to famous Broad Avenue. Master bedroom easily accommodates a king sized bed and has lanai access. Master bath has granite counters with a large walk-in closet. A newer washer and dryer are inside the unit for convenience and easy living. Home Warranty included. Electric hurricane shutters across lanai. This residence includes a covered parking space with additional outdoor storage. The lovely community pool is hidden away and very private. This complex is shared by only 11 other homeowners. Villa Versailles has the added bonus of being pet-friendly. Only a short walk to Naples City Dock and several restaurants. Close to Fifth Ave and Third St shops and restaurants and gorgeous white sandy beaches. Low HOA fees and a magnificent location make this home a dream come true. CAMBRIDGE CLUB at OLDE NAPLES Condos: C.15332 Renovated and contemporary, yet the Cambridge Club harkens back to the original 1970s kitschy condominium buildings that put Naples on the map. 3 blocks from beach and 1 block off 5th Ave make a compelling location for your get-away second home or Tony downtown Naples address. Very well-kept building, strong financials, intimate size (17 condos) and a sparkling pool with Chickee Hut differentiate this opportunity from many of its neighboring buildings. Sellers held it for 14 years and recently completed a $100,000+ kitchen and living room remodel including new electric, square LED recessed fixtures, solid core doors, added art niche, new AC lineal diffusers, pocket doors, custom cabinetry, contemporary quartzite surface stone. In addition, the kitchen remodel features trash compactor, under counter ice maker and GE monogram paneled refrigerator with freezer drawers. The Lanai was enclosed and features full impact sliders adding to the square footage of the home. Of course, the downtown location offers immediate access to exceptional restaurants, eateries, entertainment and the world class shopping for which Naples is so internationally known. OLDE NAPLES Condos: Looking for a charming place for guests...not under your roof? 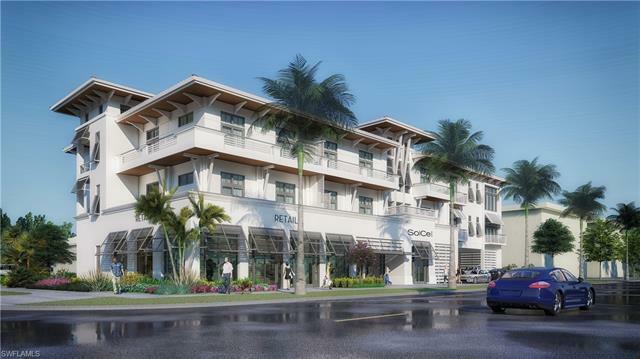 This boutique, new construction hotel/condo project features 18 residences in Olde Naples. One bedroom, one bedroom + den and two bedroom plans are available.  Square footage ranges from 610 to 1220 under air and prices range from $575,000 to $900,000. This residence is studio apartment with 1 bath. Located just South of Central, SoCe, is highly walkable to 5th Ave S and the beach. 8th St S will see major changes with new developments and the 8th St S beautification project. SoCe Flats offers a refreshing design appealing to discerning tastes. Full kitchen and washer and dryer in each residence. Unlike other hotel/condo projects, SoCe Flats owners will be allowed to customize their interior finishes as well as furnishings. Owners/guests will have the option to access many hotel services On Demand. All of the benefits of a hotel/condo without the demands! Owners may use their condo up to 150 days per calendar year and will have the option to rent their condo through a preferred management company or on their own, or not at all. NOW TAKING CONTRACTS AT PRE-CONSTRUCTION PRICING! LANDING at OLDE NAPLES Condos: A unique dcor two-bedroom, two bath condo in the heart of Olde Naples. Owner occupied full time for over twenty years. One and blocks to the Gulf for fishing, kayaking, swimming, and sunning. Two blocks to 5th Avenue shops and restaurants with its art fairs, Van Liebig Art Center, and concerts. Ten blocks to the pier, Tommy Bahamas, and 3rd Street shops and dining. Interior awash in coordinated tropical sun kissed vibrant colors with custom sun screen shades. Huge second floor west facing lanai in lush setting and a view of the beach fireworks. Close to the hospital and Gordon River biking and walking path. A safe neighborhood for biking and walking.A large kitchen, great closets and storage with barefoot friendly comfort carpet. The building has recent roof and paint and a new landscaping remodel in progress. Covered owner parking with multipurpose storage for beach and bike and guest spaces. FRANKLIN ARMS at OLDE NAPLES Condos: Steps to 5th Ave South shopping and Dining. Best opportunity to purchase a fully renovated downtown condo blocks from the beach and all Olde Naples has to offer. Roomy 2 Master Suites with all of the bells and whistles. Move-in Ready for 2019 winter season. Everything has been done from gourmet kitchen and modern styled bathrooms to impact doors and windows making this the perfect maintenance free winter get-away. Stroll famous 5th Ave South and 3rd Street"s shopping districts. Only 6 units in this private community, well managed and low fees. Covered carport and extra storage for your beach toys. Fantastic garden setting, very tranquil in the heart of Naples. PLANTATION at OLDE NAPLES Condos: C.14653 FURTHEST WEST A CONDO IS ALLOWED IN OLD NAPLES. JUST REDUCED! This knockout RENOVATED BRIGHT END UNIT WITH OWN WASHER DRYER, gets breezes from 3 sides of windows. FAB RENTALS:30 DAY MIN. 3TIMES/YR! Car ports with a roomy storage unit, are recently paved. This is the sought after address a block from the beach and 2 blocks from 5th Av S where youll find the bistros, shops, galleries. Another block is Cambier Park with Allen Tennis Center for the public, von Liebig Art Center, Gulfshore and Sugden Playhouses and nearby the library.The lanai has been extended from the living room and enclosed with sliders with screens...unless youre on the beach, this is where you soak up the multi-colored sunset skies.